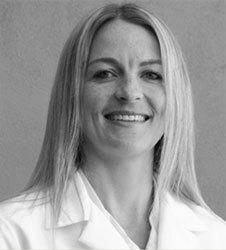 Dr. Christy Cline has a strong background in both Eastern and Western approaches to medicine. Her training in Eastern medicine started while living in Asia where she studied Tibetan Medicine during her last year of undergraduate studies at the University of Wisconsin- Madison. Dr. Cline's trip to Asia solidified her belief in bringing different aspects of medicine together. Her strong belief in natural medicine drew her to Bastyr University, one of the world’s top schools for integrative medicine. Here she earned a Doctorate in Naturopathic Medicine and a Masters in Acupuncture. During her medical studies she trained with specialists in the fields of cancer, HIV, hepatitis, women’s health, family medicine, and Chinese medicine. Working with both allopathic and holistic doctors, she formed her unique background of integrative medicine. Following graduation from Bastyr Dr. Christy pursued more training in China at the Chengdu Traditional Chinese Medicine Hospital. Here she gained immense exposure and experience in stroke rehabilitation, pain management, arthritis and paralysis. She provides her phoenix acupuncture services at Southwest Integrative Medicine through one- on-one appointments and Community Acupuncture. Is your health care missing "the care" you deserve? Get some healthcarepeace of mind with a free consultation with ourphoenix naturopathic doctor.